Don’t take our word for it—hear what other happy families have to say about Music & Me! Our family loves Music & Me! Our daughter has taken classes since she was six months old, and we've made some of the best memories (and friends) of her baby- and child-hood through them. The Music Together® curriculum is outstanding and made magical by Miss Colleen and her teachers. We can't recommend it enough for connecting as a family through music and movement. 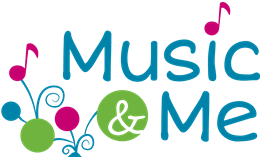 If you are looking for Prenatal Yoga in the St Pete area, Music & Me is the place. Gail’s energy and yoga practice helps Mamas find peace, groundedness, and a deep connection with your growing baby. Connect with the light inside of you! Have loved these music classes with three of my children and can't wait for my youngest to have the same great introduction to music. Miss Colleen and Miss Jen are absolutely wonderful! Amazing!!! Just try the class you will see! Wish we had started sooner!